There's often a lot of debate about what Ring Out Ahoya means. While the answer may not be completely clear cut, there are a few things that Marquette grads associate with the term. M.U. Rah Rah for Old Marquette. Rah! Rah! Rah! You can listen to the Marquette Band playing the fight song here. This is the part that's more difficult to answer. The term “hoya” may come from an Indian word, or Greek and Latin. However, it does have a deep rooted connection with Catholic Jesuit schools including the Georgetown University Hoyas. Georgetown Traditions: What's A Hoya? HoyaSaxa.com has en excellent write-up on the possible origins of this word. The origins of the word “Hoya” defy simple explanation. Over the years, some have claimed it is an Indian word, while those of a legal mind thought it related to the French word oyez, the traditional opening of judicial sessions. Still others held that with Georgetown's location along a river, Hoya might be an offshoot of the nautical “ahoy”. None of these claims have held water, so to speak. The official explanation holds that there was a baseball team at Georgetown called the “Stonewalls”. It is suggested that a student, applying Greek and Latin, dubbed the team the hoia saxa– hoia is the Greek neuter plural for “what” or “what a”, while saxa is the Latin neuter plural for “rock”. Substituting a “y” for an “i”; “hoya saxa” literally means “what rocks”. To this day, however, no one has proven exactly when and under what circumstances the yell originated. While there was a Stonewalls team between 1866 and 1873, an actual reference to the team is pure speculation. Some have held that hoia saxa referred not to the team but its surroundings–the team's field (the present site of Copley Lawn) was bounded by the College Walls along 37th street. One theory holds that words such as saxa (Latin for “rocks”) were scribbled on the walls for years and a similar phrase may have simply been adopted by fans of the baseball team. 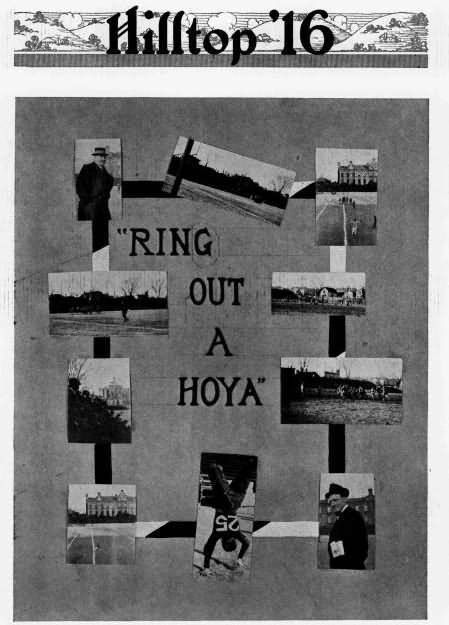 The Hoya yell gained additional attention in 1920. In that year, a fledgling student newspaper known as The Hilltopper petitioned Rev. Coleman Nevils, S.J., Dean of the College, to change its name to The HOYA, a name said to be more representative of the University. Nevils, who had championed naming the Holy Cross student paper “The Hoia” without success in 1916, enthusiastically approved the change. As the college paper was often cited by sportswriters covering Georgetown sports in the 1920's, it took only a few years for a nickname to be born. By the fall of 1928, a HOYA sportswriter began to refer to the football team as the “Hoyas” rather than its contemporary nickname of the “Hilltoppers”. The change was picked up by local writers as basketball season began, and Hoyas became the official Georgetown nickname within a few years. Among all college programs, only Georgetown University holds this unique team nickname to which its students, faculty, alumni, and fans can take pride in. 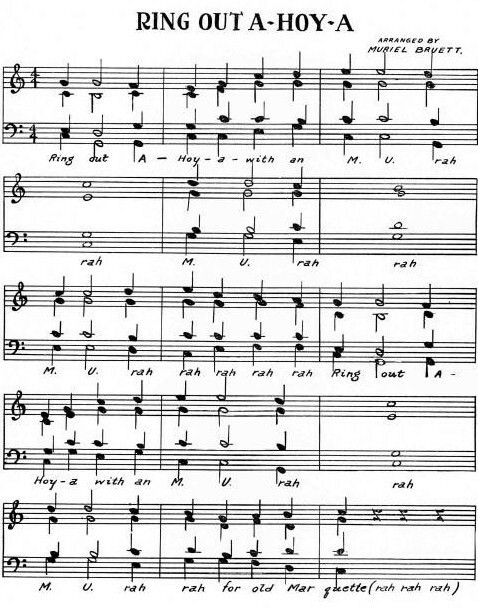 But the Hoya yell did find its way into the fight songs of two other Jesuit colleges: Holy Cross' “Hoiah, Holy Cross”, and Marquette's “Ring Out Ahoya”. Each appears to have its roots, however distant, in the yell begun on a college yard many years ago. In short, “Hoya” may be difficult to define, but its tradition endures.